A simple recipe for an ideal afternoon snack! Packed with proteins! Mix the yoghurt with the mustard and the paprika powder. Add the tuna and the pickels. Cut the cucumber in half and then slice in half again over the lenght of the cucumber. 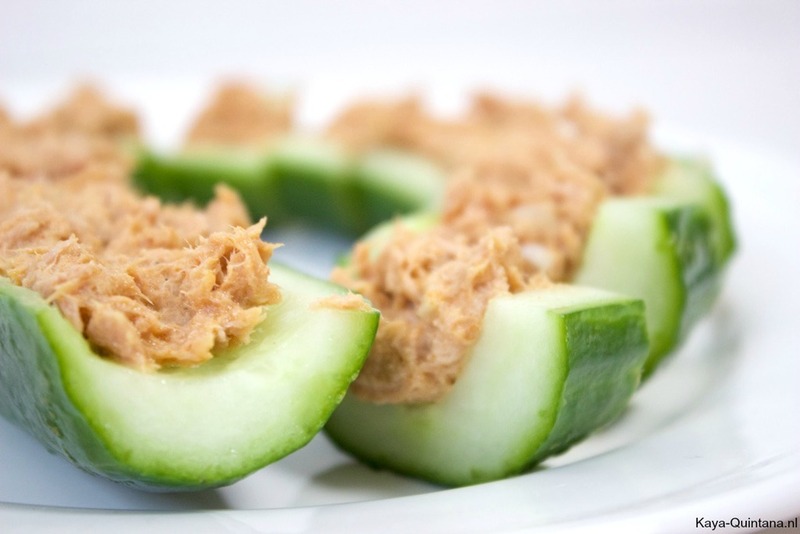 Remove the core with a spoor, this way you’ll create ‘boats’ to fill with the tuna mixture. Posted in SnacksTagged fish, healthy, snack, vegetables, veggiesBookmark the permalink.